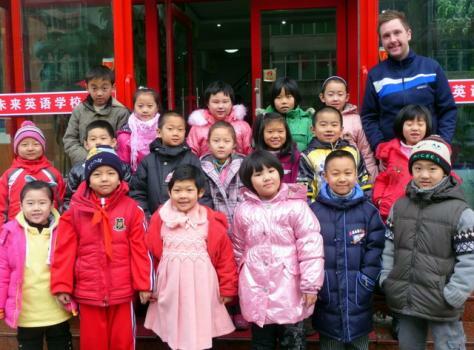 Teaching in China is a unique experience and challenge for any teacher including veterans. It can be a wonderful experience or a nightmare - depending on the precautions you take in finding the right school to work for. Coming here naive and innocent may cause you considerable grief and money. We therefore feel obligated to offer you the following words of advice and reference links. 1) Be weary and careful in evaluating any and all job offers especially if the potential employer does not require any teaching experience, education degrees, nor certificates. (40% of all "schools", "learning centers" and "training centers" in China are unregistered/unlicensed scams. 2) Insist on reading and executing a contract in English before you depart your homeland for China and ensure all travel reimbursements, visa sponsorships, housing arrangements, and wages are clearly spelled out without ambiguity or vague references left open to interpretation. If an employer does not agree to this, look for another one. Without an original signed contract in your hand you are setting yourself up for problems. 2) Pay any deposits or up-front fee of any sort. They may try to convince you that you must pay for special training or Chinese lessons, or pay an admin fee. These are all indications of a scam operation. Real schools need good teachers and they do not charge the teachers a dollar to come work for them. 3) Agree to work for less than 250 yuan per hour if you have a university degree or are a native English speaker from America, Canada, U.K. or Australia. 4) Agree to accept any position in China without reviewing a written job description that specifies your work location, responsibilities, and hours/days to be worked weekly. 5) Agree to "work out the details once you get here". If you agree to this you will be at their mercy in a foreign land with your only alternatives to either accept whatever you are offered or buy a plane ticket to go back home. Feel free to contact the CFTU and we can arrange for you to get a free one hour indoctrination, cross-cultural orientation, and sign-up for a free local teaching standards seminar to make you aware of local customs, traditions, and work environments. Things are a bit different in China and as a guest you are the one who must adapt, not vice-versa. You will also be given a copy of China's Labor Laws and grievance procedures if you ever need them. The above is only advice to heed or ignore as you choose.